Note: the latest copy of this section of the ProGit book is always available within thegitolite documentation. The author would also like to humbly state that, while this section is accurate, andcan (and often has) been used to install gitolite without reading any other documentation, it is of necessity not complete, and cannot completely replace the enormous amount of documentation that gitolite comes with. Git has started to become very popular in corporate environments, which tend to have some additional requirements in terms of access control. Gitolite was originally created to help with those requirements, but it turns out that it’s equally useful in the open source world: the Fedora Project controls access to their package management repositories (over 10,000 of them!) using gitolite, and this is probably the largest gitolite installation anywhere too. Gitolite allows you to specify permissions not just by repository, but also by branch or tag names within each repository. That is, you can specify that certain people (or groups of people) can only push certain “refs” (branches or tags) but not others. Installing Gitolite is very easy, even if you don’t read the extensive documentation that comes with it. You need an account on a Unix server of some kind; various Linux flavours, and Solaris 10, have been tested. You do not need root access, assuming git, perl, and an openssh compatible ssh server are already installed. In the examples below, we will use thegitolite account on a host called gitserver. Gitolite is somewhat unusual as far as “server” software goes – access is via ssh, and so every userid on the server is a potential “gitolite host”. As a result, there is a notion of “installing” the software itself, and then “setting up” a user as a “gitolite host”. Gitolite has 4 methods of installation. People using Fedora or Debian systems can obtain an RPM or a DEB and install that. People with root access can install it manually. In these two methods, any user on the system can then become a “gitolite host”. We will describe this last method in this article; for the other methods please see the documentation. You start by obtaining public key based access to your server, so that you can log in from your workstation to the server without getting a password prompt. The following method works on Linux; for other workstation OSs you may have to do this manually. We assume you already had a key pair generated using ssh-keygen. And you’re done! Gitolite has now been installed on the server, and you now have a brand new repository calledgitolite-admin in the home directory of your workstation. 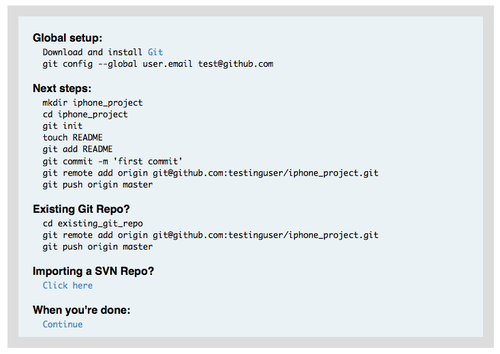 You administer your gitolite setup by making changes to this repository and pushing. While the default, quick, install works for most people, there are some ways to customise the install if you need to. If you omit the-q argument, you get a “verbose” mode install – detailed information on what the install is doing at each step. The verbose mode also allows you to change certain server-side parameters, such as the location of the actual repositories, by editing an “rc” file that the server uses. This “rc” file is liberally commented so you should be able to make any changes you need quite easily, save it, and continue. This file also contains various settings that you can change to enable or disable some of gitolite’s advanced features. Notice that “sitaram” (the last argument in the gl-easy-install command you gave earlier) has read-write permissions on thegitolite-admin repository as well as a public key file of the same name. The config file syntax for gitolite is liberally documented in conf/example.conf, so we’ll only mention some highlights here. 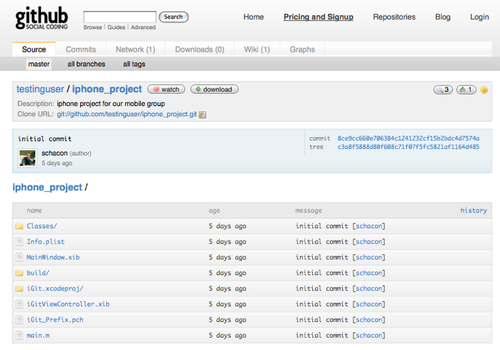 You can group users or repos for convenience. The group names are just like macros; when defining them, it doesn’t even matter whether they are projects or users; that distinction is only made when youuse the “macro”. @interns        = ashok     # get the spelling right, Scott! You can control permissions at the “ref” level. In the following example, interns can only push the “int” branch. Engineers can push any branch whose name starts with “eng-“, and tags that start with “rc” followed by a digit. And the admins can do anything (including rewind) to any ref. The expression after the RW or RW+ is a regular expression (regex) that the refname (ref) being pushed is matched against. So we call it a “refex”! Of course, a refex can be far more powerful than shown here, so don’t overdo it if you’re not comfortable with perl regexes. Also, as you probably guessed, Gitolite prefixes refs/heads/ as a syntactic convenience if the refex does not begin withrefs/. There are two levels of access control in gitolite. The first is at the repository level; if you have read (or write) access toany ref in the repository, then you have read (or write) access to the repository. 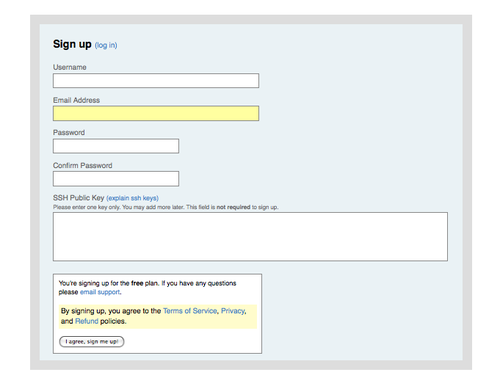 The second level, applicable only to “write” access, is by branch or tag within a repository. The username, the access being attempted (W or+), and the refname being updated are known. The access rules are checked in order of appearance in the config file, looking for a match for this combination (but remember that the refname is regex-matched, not merely string-matched). If a match is found, the push succeeds. A fallthrough results in access being denied. So far, we’ve only seen permissions to be one or R, RW, orRW+. However, gitolite allows another permission: -, standing for “deny”. This gives you a lot more power, at the expense of some complexity, because now fallthrough is not theonly way for access to be denied, so the order of the rules now matters! This powerful feature is documented in conf/example.conf. Gitolite also has a feature called “personal branches” (or rather, “personal branch namespace”) that can be very useful in a corporate environment. A lot of code exchange in the git world happens by “please pull” requests. In a corporate environment, however, unauthenticated access is a no-no, and a developer workstation cannot do authentication, so you have to push to the central server and ask someone to pull from there. Gitolite lets you define a “personal” or “scratch” namespace prefix for each developer (for example,refs/personal/ /* ); see the “personal branches” section in doc/3-faq-tips-etc.mkd for details. Gitolite allows you to specify repositories with wildcards (actually perl regexes), like, for exampleassignments/s[0-9][0-9]/a[0-9][0-9], to pick a random example. This is avery powerful feature, which has to be enabled by setting $GL_WILDREPOS = 1; in the rc file. It allows you to assign a new permission mode (”C”) which allows users to create repositories based on such wild cards, automatically assigns ownership to the specific user who created it, allows him/her to hand out R and RW permissions to other users to collaborate, etc. 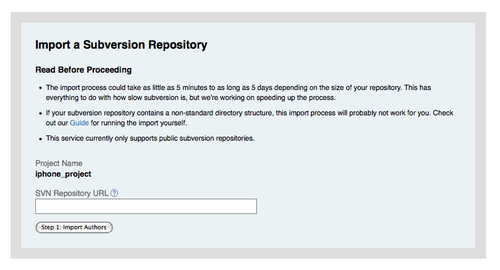 This feature is documented indoc/4-wildcard-repositories.mkd. We’ll round off this discussion with a sampling of other features, all of which, and many more, are described in great detail in the “faqs, tips, etc” and other documents. Logging: Gitolite logs all successful accesses. If you were somewhat relaxed about giving people rewind permissions (RW+) and some kid blew away “master”, the log file is a life saver, in terms of easily and quickly finding the SHA that got hosed. Delegation: For really large installations, you can delegate responsibility for groups of repositories to various people and have them manage those pieces independently. This reduces the load on the main admin, and makes him less of a bottleneck. This feature has its own documentation file in the doc/ directory. 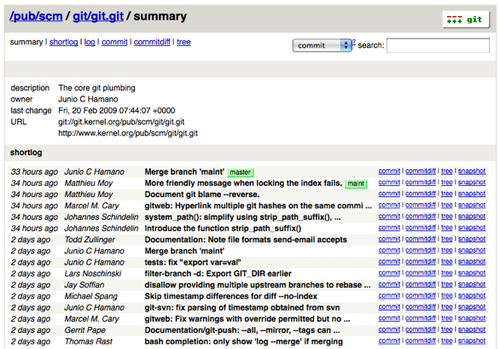 Gitweb support: Gitolite supports gitweb in several ways. 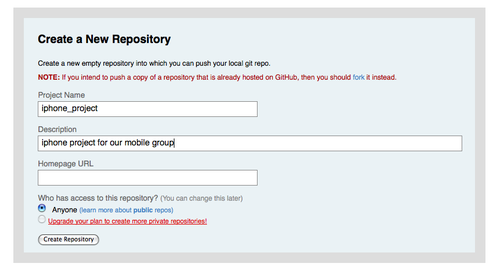 You can specify which repos are visible via gitweb. You can set the “owner” and “description” for gitweb from the gitolite config file. Gitweb has a mechanism for you to implement access control based on HTTP authentication, so you can make it use the “compiled” config file that gitolite produces, which means the same access control rules (for read access) apply for gitweb and gitolite.